USA stands for The United States of America, and is one of the few abrivations I intentionally use in my file. The United States of America came into existance with the American Decleration of Indepandance in 1776. It formally got the name under the Articles of Confederation, written in 1777 and finally ratified in 1781. The nation official obtained its independance with the Treaty of Paris in 1783. The Articles of Confederation were replace with the Constitution of the United States in 1788 when the nation changed form a Confederation of States into a Federal Republic. In this file, the country of USA is normally omitted in output, but is included in the database. The code USA is used even for events that occured before the country officially became the United States of America when it is not printed with the event in order to keep the events together in the place index. 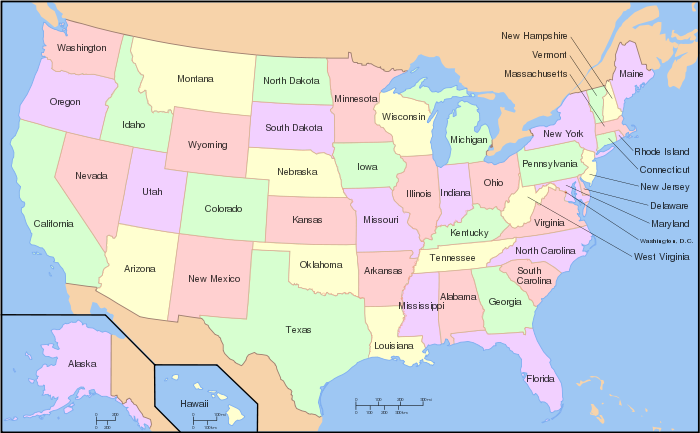 If the country is to be printed before the formation of the United States, it will be listed as "America".